The construction of most buildings in Queens requires the transport and use of thousands of tons of materials. Builders, developers and construction company owners engaged in a construction project owe their workers a safe project site. Too often, though, shortcuts and cost-cutting result in serious injuries to construction workers and even fatal accidents. If you have been injured on a construction site because your manager, supervisor or other party failed to follow safety procedures, The Orlow Firm can work to help you obtain the compensation you need and deserve. 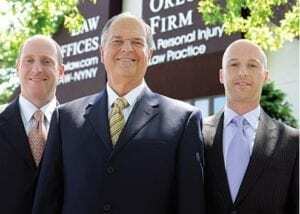 At the Orlow Firm, you will always work with a named partner who truly cares for each of our clients. We treat each case as our most important case, which helps us get the results our clients deserve. For a free consultation, call (646) 647-3398 or contact us online. We have handled numerous third-party claims against contractors, subcontractors and other third party individuals and organizations. In addition to working to obtain compensation in your third-party claim, we can refer you to an experienced workers’ compensation lawyer. Undocumented workers have the right to be compensated for injuries due to workplace hazards just like other workers in Queens. Se habla español. For more information regarding your possible right to a third-party claim following a construction accident, contact The Orlow Firm. We offer free initial consultations and operate four offices across New York City for your convenience. We can go to you if you cannot come to us. To contact a lawyer, call (646) 647-3398 or contact us online.